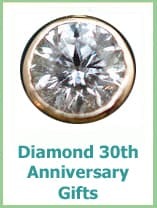 Pearl anniversary gifts are the traditional way to celebrate a 30th wedding anniversary and after 30 years of marriage you want something that bit special. As well as traditional pearls, you could also dazzle the love of your life with diamonds from the modern list. 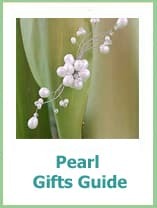 Plus we have also looked for ways to theme your gifts without a pearl or diamond in sight. 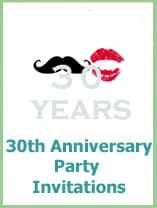 Have a very Happy 30th Anniversary. 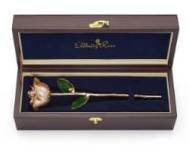 The perfect Anniversary rose for your 30th and will last forever. 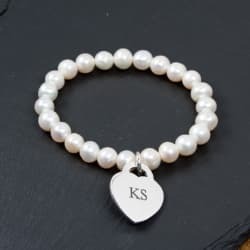 A beautiful pearl bracelet with an engraved heart is a super special Anniversary gift for your wife. 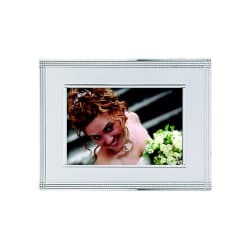 This classic Pearl Anniversary frame can be engraved with your own message. Adding your favorite photo of the two of you will make it even more special. 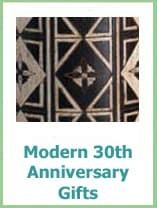 Celebrate your 30 years with these gifts that will always remind you of the fun times you have had together. 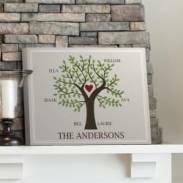 Family is everything and this stylish Family Tree shows you all together. 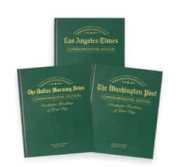 The front page of the newspaper from your wedding day will have lots of memories to share. And it's also a fun jigsaw puzzle too. Do you remember the first day you met? 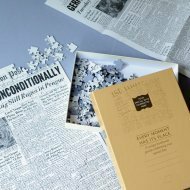 This jigsaw puzzle the heart marks the exact spot and takes you on a trip down Memory lane. 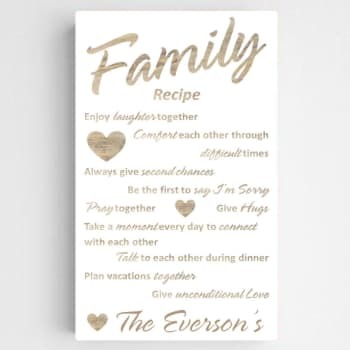 A list of the sweet Family rules that have held you all together will make a great statement on your wall. And one to smile about in years to come. 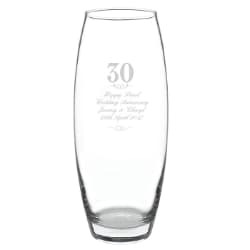 A bouquet of beautiful flowers will be just perfect in this Personalized 30th Anniversary vase. Engraved with your names and your Wedding Date. 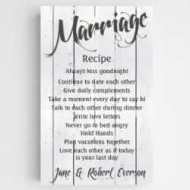 Your recipe for a Happy Marriage personalized with your names makes a fun canvas for your home. 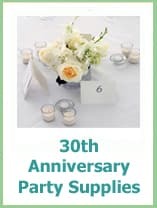 Your own Anniversary newspaper book filled with the front pages of the newspapers from your Wedding Day and every Anniversary since. 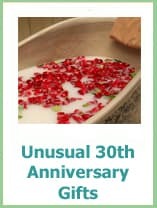 A perfect way to reminisce over the last 30 years. 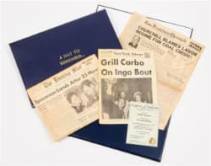 A real piece of history from the day you were married would make an awesome gift for you two. Laugh at the advertisements and remember the big stories. 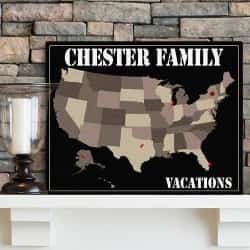 Have you ever pinned all of your vacations you have had together on one map? Then now is the time! And then you can plan where you would like to go over the next 30+ years. 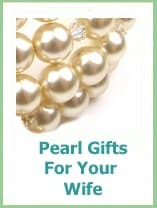 Natural pearls are formed by oysters or other mollusks, it happens when an object (irritant) gets lodged into their shell, they will secrete a substance called nacre over the object to protect themselves and the layers build up to form what we know as a pearl. 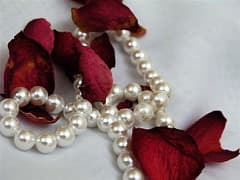 Natural pearls are very rare and it is more likely that you will find cultured ones, these are made the same way but the irritant is placed in the shell manually. 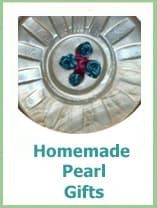 Mother of pearl is also made by mollusks and it is the same nacre that has been secreted inside the shell to protect their bodies. 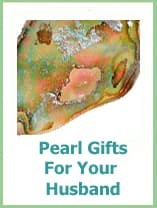 Mother of pearl can show lots of great colors and again lends itself beautifully for decoration and gifts. 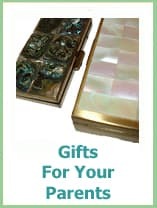 Gifts for men are more likely to be in mother of pearl and you can find watches, photo frames, trinket boxes and cufflinks. 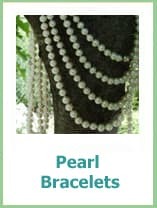 Mother of pearl also makes stunning jewelry worth having a look at if you want something more contemporary. 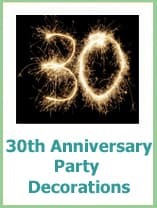 If you are planning a party we have lots of ideas for themes.